In case you haven't heard, a bunch of scientists have a massive, and I mean massive, experimental machine in a tunnel underground in the Geneva area and running between Switzerland and France, and it is known as the Large Hadron Collider. It has been built and is being run by the European Council for Nuclear Research, known as CERN from Conseil Européen pour la Recherche Nucléaire, and is the world's largest particle physics laboratory. .Now I don't claim to understand much about atomic particle physics but apparently the Large Hadron Collider can recreate conditions that happened in the Big Bang, which many people don't believe in anyway. The researchers are colliding particles hoping to discover confirmation of their theories and further secrets of the universe.They are looking for the Higgs Boson, which has also been called the "God particle." Not only are they looking for the "God particle" but the scientists are basically playing God again at the vast cost of an estimated £5 billion and whilst they, of course, claim it is all safe, the question any logical mind will ask is but how do they know and what if it isn't? Today marks the day they have switched it on and claim to have done their first successful test. The CERN logo is plainly 666, the number of the Biblical Beast of Revelations! Outside the CERN building is a statue of the Hindu god Lord Shiva, who represents the divine force of destruction. We may wonder why they chose this deity? Many conspiracy theorists are very conCERNed about the whole project, and not surprisingly! I share their concerns and can think of far more sensible uses the incredible amount of money spent on this could have been used for. Michael Tsarion puts forward the idea that the beings described in the Bible as the Nefilim/Nephilim were aliens and that they had been pursued here from another part of the universe and imprisoned within a stargate to put the Earth in quarantine. Michael believes that these beings lost their advanced technologies when Atlantis was destroyed and that ever since they have been working using humans to rebuild the machines and technology they need. The plan, according to Tsarion, is eventually to blast through the stargate that holds them prisoner here. Could this be the real reason for the Large Hadron Collider? I hope not! Since posting this I have got a mixed bag of responses here and at Myspace with those against and those for and to present a balanced hub I have just added two more videos by MagentaPixie2012 basically saying that is a great event and nothing to be afraid of! Perhaps my reaction to this was wrong and born out of my distrust of science? Right now it is impossible to say who is right and who is wrong and what the effects of the Large Hadron Collider will be! Should We Be Concerned About CERN and the Large Hadron Collider Bringing About the Apocalypse? Are Extraterrestrial Life Really Visiting Us? The supposed 6s are the paths that particles describe inside the collider from the their source, around the huge cyclotron and then into the detectors. Why on earth would physicists invoke some batshit crazy concept of the personification of the an antichrist predicted by bronze age Jews mythic 2000 years ago. There is no evidence that any of that stuff is real. You don't know this because your not a physicist. If you took physics in high school and paid attention. You would know. If you don't have the intellect to understand Physics, or don't want to take the time to understand Physics. Then shut up about physics. Very interesting article BardofEly.Voted up and shared. Interesting article, although the videos were kinda whacked. 8 years ago from the Incredible India! mainly because of your ignorance about science and it's limitations. Isn't it true that it's the scientists who explain us the vastness of this universe and how insignificant we are when compared to this infinitely vast universe? Do you think these scientists - top most brains on the blue planet - would challenge this universe with their trivial technology now they have called the hadron collider? Tell me when your two year old child throws some water onto the shore do you panic and stop him thinking that the ocean will drain out soon? If you think that research targeting on the questions you raised is possible, sorry, you don't understand anything about research. You think X-rays, tomography, PET scanners, life-support units, hadron therapy, any other modern medical device would be possible without electricity? If some physicists were not interested in lightnings, magnets, electrons, etc., you would have none of those. If you think money spent on basic sciences were vasted, you would be spending all your money on say developing better candles or gas lamps. But how hard you try, you cannot invent the electric light purely on "beneficial" research on the candle! I'll stick with my first impression that it is both dangerous and a vast waste of money like so many other things in the world! Of what benefit can the LHC be to sorting out any of the ongoing nightmare this world is in? Name me one use! Does it feed the starving? Does it stop war? Does it provide homes for the homeless? Does it cure disease? Does it stop crime? Does it stop pollution? Does it stop the ongoing extinction of species and destruction of habitats? Bard, it is interesting that even though you "claim to understand much about atomic particle physics", you seem more than willing to pass judgement on it. I agree w/ Paraglider. Most of these fears of the Hadron Collider are based on either misunderstanding or ignorance. -You are like chicken little running around yelling about how the sky is falling. If you want to pass judgement, you should at least get your facts straight. And not make absurd statements about things that you don't understand. And as far as the whole "playing god" argument is concerned, was Einstein playing god when he up with relativity? Was Alexander Fleming playing god when he discovered penicillin? 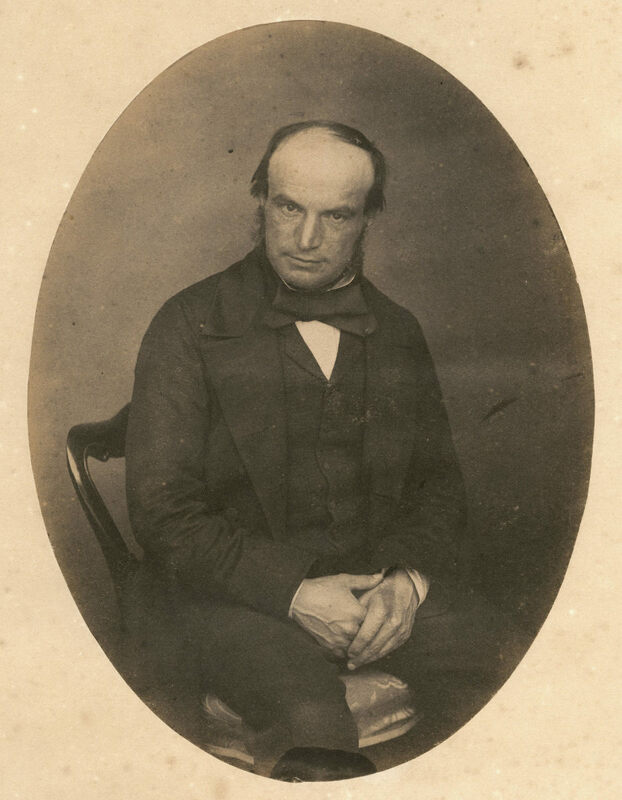 -I find it interesting that every major scientific discovery that offers the possibility of further insight into the nature world, or offers the possibility of improving the quality of life for the human race is first met with opposition and disdain from ignorant and ill-informed minds. The people who ignorantly rant against the "doomsday evils" of the Hadron Collidor are the same type of people who would have raved against the use of electricity around the turn of the century. What if in the 1700's people had believed (as they do of the Hadron Collidor) that "maybe we should leave well enough alone."? The Hadron Collidor is an instrument for scientific inquiry. And with out Scientific inquire, we do not evolve and the computers that these nay-sayers use to complain about things they don't understand wouldn't even exist. -Grow up people and get with the 21st century. Thank you for commenting, Lost Dutchman! great hub, great comments. I am concerned about the outcome in October as many others are. It is helpful to know more about the particle accelerator, and although I am much in favour of most tech advances, this one is too far away from what I feel safe with. I guess a lack of understanding contributes to my fear, so I understand part of the reason it scares me. I think the other bit might be that I have seen what speeding particles do. They can be relied upon in normal circumstances to make a mess when they hit. I fully agree with that. I'm well aware of the point you are making but I was trying to say that the system or the &quot;Western World&quot; or the globalist consumerist society or whatever you want to call it seeks forcefully to prevent people living outside it. I personally can see parallels in the treatment of travellers at the Battle of the Bean Field (as the most infamous incident), the trouble the people of Tipi Valley in Wales have had over the years, the ongoing persecution of the Rainbow gatherings in the US, the eviction of cave-dwelling hippies in Tenerife and the poisoning of the land of the Kogi. The same force, the same dominator war-making, conquering, civilising, law making and imposing culture is behind all these attacks on people attempting to live outside its grasp. I could add the massacre of countless Native Americans and the same sort of thing which happened here to the Guanches as further historic examples. Tribal ways whether traditional or modern neo- are likely to be attacked. It's never been quite straightforward though, has it? Very few people n UK try to follow the traditional travellers' lifestyle and those that do would be the first to condemn the pseudo-travellers who often live in quite antisocial ways, respecting neither the countryside nor the people who live there. I'm sure I don't need to enlarge on that. We're not comparing like with like if you compare latter-day 'travellers' with the Kogi who have been in their own lands forever. Their choices should be respected. Paraglider, I don't think that not using things is running away but is lessening the need for their production in a consumerism-driven world. If most people no longer wanted to watch TV they would not be making them. In many ways it all comes down to consumerism and what the masses are manipulated into thinking they want/need! In my own case often I am not opting out because I never opted in to start with. People who do make an effort to opt out are not allowed to. For example a bunch of people who were living in caves in the cliffs here and shelters made from breeze blocks from abandoned farmland and palm leaves were forcibly evicted and their homes destroyed.In the UK people who chose to live as travellers are often persecuted. People are not allowed to be outside the system. People are forced to use and depend on technology. The Kogi tribe cut their ties with the civilised world after giving their warning years ago but few were listening. Quite my point, but better put, Paraglider. I don&rsquo;t favour the &lsquo;opting out&rsquo; option and I wholeheartedly subscribe to a more conscious, responsible use of research and exploration.The question whether or not this LHC should have been built is still a valid one. At this point I&rsquo;m still inclined to the same opinion I have towards our endeavours to explore the universe: it&rsquo;s a waste of money. Even if space exploration has brought us some benefits, these benefits don&rsquo;t outweigh the costs. And I doubt that I will see the time when this LHC becomes profitable (not just in the economical meaning of the world) to humanity. Greetings Steve &amp; Ananta - my take on this, if I may: I certainly could live a far simpler life than I do. Some years ago I took a job in the middle of London and took a small unfurnished single apartment within walking distance (about half an hour) from work. I 'furnished' it with a matress, a table, a chair and a rug and a few kitchen utensils, and lived like that for over a year. No car, no TV. Never even used tubes and buses. No 'things' at all. Except a guitar and a PC. Of course the guitar's nylon strings were made in a factory somewhere, to a formula and process that were the product of accidental discovery (polymerisation) in the course of scientific research. And the PC, though 'light technology' is still extremely high-tech, as is the communications network using fibre optics and space satellites that it hooks up to. So I don't favour 'opting out' of progress. But I do strongly favour responsible use of resources, petrochemicals, minerals, foodstuffs, etc. I agree people are greedy and consume too much, but if those of us who are aware of this simply run away, it will only get worse. 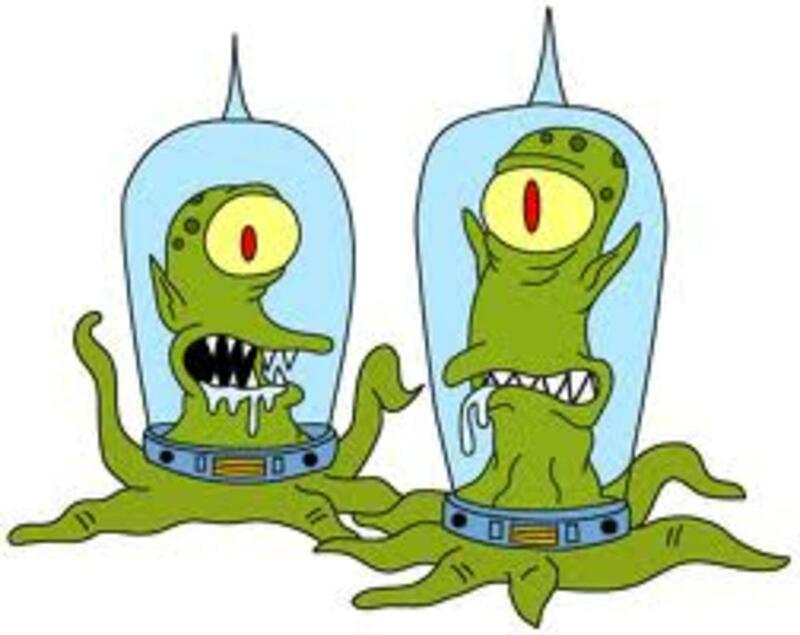 As to the conspiracy theory… I don’t think aliens need to sabotage anything at all. If I were an alien, I’d definitely trust on humans to err. I see that the LHC has already developed a serious fault and is out of action for at least two months. It's going to be another vast waste of money (in my opinion) for them now to fix it! Personally I wouldn't be at all surprised if it has been sabotaged by ETs as they have been said to have done before in numerous space missions and other technological projects. I agree with you totally on that, Ananta! As for living the tribal way I have often thought that if I was given the chance I would love to have such a way of life. I use the PC a lot because it is how I make money to pay my rent and for food etc and, of course, for communication with friends but if I was living in a tribal setting I would have far fewer people to talk with but no need for this PC or to earn money. I am sure I could soon get used to it. Things I have given up in my life I don't miss. When I first visited Tenerife I lived for a week with no TV, no PC, no radio, no phone, no video, no stereo and I didn't miss any of it. I went to sleep at night and went out in the day and remember thinking if I had the money to pay my ongoing rental of a room in a pension and enough to live on then I could do without all the other stuff. I can see the point in what you say, absolutely. The ‘civilized’ world has a lot not to be proud of. However, I doubt that we (or I myself at the least) would be able to go back to the tribal state of life. That’s the funny thing about it. For us tribal life would be a step back, whereas for them ‘civilized’ life would be a step back, I guess. We can learn a lot from those tribes. Respect being the first and most important. Respect for the planet we inhabit, respect for the creatures we share it with. But like I said, science did bring forth a couple of good things too. After all, it’s science that has enabled you and me to share these thoughts and ideas, hopefully creating more understanding and awareness. I’m not a believer. Nor am I a denier. I think it is very conceivable that there is extraterrestrial life, just as I think it’s conceivable that there is a god. On the other hand I don’t want to rule out the possibility that we’re alone. I simply don’t know. What I do know is that we have a responsibility and we’re not taking that very well. Whether or not there is other life or a god, we have the responsibility to look after this planet. For ourselves and for our offspring. Well, I am far from convinced that technologies and science are the way forward. They might well be if people were responsible with their use but often they are not and endanger many other species here. A world before the advance of science has much more life in it and still it does today in parts of the world where 'civilisation' has not taken hold. And tribal people I think you will find live a lot longer than 40 without the help of modern science. Actually there are plenty of people aged over 100 on the Canary Islands where I live and I have a book on the subject. The author Jos&eacute; Jaen found that all of them attribute their long lives to avoiding the modern way of life with processed foods, TV etc. They all eat basic foods, farmed locally and they treat themselves with herbal teas and folk medicine handed down. Although I am a total believer in ET races and interplanetary civilisations I do not see any reason why the human race needs to explore other parts of space when it cannot even look after the planet it is living on. We should be sorting out the mess here first and have a long way to go in doing that! I don't feel that the human race as it currently stands is a worthy neighbour for other civilisations and if anything would be likely to take our corruption and pollution elsewhere if we could! If we had abolished warfare, poverty, pollution etc then we would have a world to be proud of but as it is we don't have a world like that and I believe our money and research should be spent and used on sorting this place out. After all it is our shared home! Seriously, my thought on this subject are ambiguous. I can relate to your conCERN (I liked that) and the money spent could also be well spent on other things. The same can be said about all the money that’s being spent on the exploration of the universe. However, should we then remain ‘ignorant’? Science is not THE answer to everything, but it would be foolish to deny the blessings brought forth by that same science. If it weren’t for science we’d still die before our 40th birthday. Tough question, Steve! Thank you, AEvans! I am glad you agree! What a waste of money as man has been trying to figure this out for centuries. They should be placing that funding elsewhere , homeless,cures, etc. Imagine the paychecks they are getting for something that is completely to far fetched. For thousands of years and many scientists later , nobody can figure out the &quot;GOD&quot;theory . However common sense tells you through the Bible that God is created by all living beings who believe, so what is there to figure out? They are over-stepping there boundries so they need to be careful or they may end up destructing many. Great Article !! It could be 999, or it could just be a symbol of things going in circles and flying off into space. In the same vein, why did the Mormons put inverted pentagrams on their new temple? I guess I have been in a cave, because until I read this, I didn't know about it. I don't watch t.v., and hardly ever read scientific news, not being one wit interested in it, and not understanding most of it. Thus, I am ignorant, and if the world had ended when it was turned on, I wouldn't have been any the wiser, and that's fine with me. Conspiracy theories such as those put forth by Icke I can understand and believe. This one is a little too outside the realm of reality for me. Thanks for your posts, Lilly and Shalini! I have just added an update and two more videos presenting a positive explanation of the Large Hadron Collider. While the experiment itself is a tremendous feat that inspires awe, I can't but help feel this twinge of fear - is it a primal fear? Of man over-reaching himself? Shades of Icarus? Yes, science and technology must progress and to kill the spirit of enquiry would be to muzzle the mind - our greatest gift. All I ask, like I am sure many others do, is this: should we be better prepared before we enter the realms of the unknown? What if we unleash energy that cannot be capped or controlled? Are a few scientists' dreams worth putting mankind at risk? Do we need to bring the questionable forces in outer space home? There will probably never be clear answers - just questions - but shouldn't these questions be addressed? Sometimes, maybe...just maybe...ignorance is bliss!! Great Page! It stimulates my mind, and gives me some fascinating links. Very well done. Thanks for appreciating my hub, Shadesbreath! We'll have to agree to disagree on the Earth being already doomed though! I don't see that at all but I do see an increasing number of extinctions of other life forms going on caused by people in a variety of ways. I happen to believe that the civilisations that have been on this planet long ago at the time of Mu and Atlantis were wiped out but that doesn't mean that humans were doomed as a race or that all the other life forms died. There are sure to be survivors here. I don't claim to have any idea what the future holds though apart from saying that I don't see the planet destroyed or all life gone from here! Bard, first I want to say that this is a fantastic hub, written extremely well and with awesome links and extras. Superb job. However, I am with Para and CJ on this one though. We cannot intentionally stunt the growth of human knowledge just because humanity has amongst its ranks greed and evil. As has already been clearly stated, so many wonderful and useful ideas and inventions have been used for horrible things despite the nobility of the inventor's cause. The fact is, Earth is already doomed. We're one meteor or viral mutation away from extinction as it is. The only question is the time frame. So, we can stop developing technology and all live in a little village hunting deer and wearing animal skins until the big one hits, the sun goes nova or whatever else OR we can work on a way of spreading outwards before it's too late. The clock is ticking. The technology required to reach another planet is a long way away and requires untellable ammounts of time and money. I realize that some might say that humanity is too vile to spread, that we don't deserve to get off of here because of how evil our evil people have always been. Well, that's fine if some want to hold that opinion. But I've known too many beautiful amazing people, seen too much beauty, read to much genius to believe we don't deserve to carry on. So, if this is a step we have to take to crawl slowly towards the preservation of our species, then so be it. Humans have always sought and discovered. Always. And the money is a pittance in the end. It's nothing. We waste far more than that on stupid stuff that means nothing. And for the 666 thing and Shiva, well, I can see if you ignore parts of it and work hard enough you can find the 666 in there (or 999, but you still have an extra line to ignore). And Shiva is destruction as part of a creative process. Shiva is not evil or associated with evil or negativity in any way as I have read, but I don't profess to be an expert. Again, great hub, wonderful job on it, and I'm very glad you took the time. Well, Chris, you can be with Paraglider on it and I'll trust Freeman's opinions! The money idea I put in not just with relation to this but could be extended to include the majority of scientific research programmes and the space programmes. I simply don't see that we need more research on any of it but rather that we need to deal with what we have and what we know and that public money should be spent on sorting out the problems that exist. I don't think the human race is not responsible enough or mature or moral enough to have advanced technologies because these things always fall into the hands of the people who control the money and control the system! That's how I see it and how I feel about it although that isn't going to change anything of course! Yes, I use Internet and other scientific stuff but if I hadn't become dependent on it for work, just like so many people depend on technology, I would be happy to go back to a world without all this stuff. I would say we need less science and less technological advancements and because I admit I generally don't like science and indeed have been and still am a technophobe to a great degree, I realise that I am in a general minority in this sort of outlook. I also realise that is why it was so very hard for JazzRoc to get me to see what he was saying made sense about chemtrails. The idea is expressed in the CS Lewis books I have recently posted about - that the scientist Weston is the first man with a spacecraft that he uses to go to Mars and Venus. But what is his purpose and what does he do? He seeks to take the gold from Mars and to kill and dominate the native life forms and to then move on conquering the rest of space. When he gets to Venus he goes even further by allowing himself to be taken over by the Devil. Weston represented the most advanced science from Earth but he is an evil man and is finally destroyed! Hi Steve, I'm with Paraglider on this one. It's false economics to say this money could be used for something else as there's a good argument to say that the economic system itself would collapse without a constant influx of cash from the public purse, and it is precisely this kind of leading edge technology looking at the deep structure of the universe that research money should be spent on in my view. The world wide web was invented at CERN, which shows that it can have a beneficial effect. 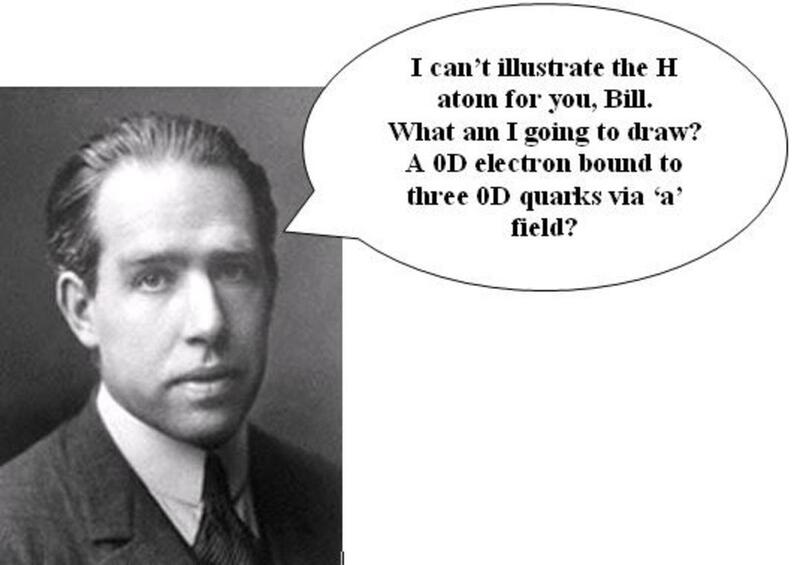 Also the &quot;God&quot; particle is just a name and they're constantly inventing strange new names for these particles. I think you can go over the top with conspiracy theory at times. The Shiva statue was a gift from the Indian government and represents two things: firstly the beautiful sophistication of ancient Hindu philosophy which was grand enough to be able to represent such profound and elevated concepts as they are dealing with at CERN. What grander a figure than Shiva? And also the numbers of Indian scientists who are involved in the project, which shows that this is truly an international endeavour. Not an international conspiracy of the Illuminati, in this case, but international co-operation by top scientists. It has my backing and I look forward to hearing the results. Paraglider, I detest the dumbing down of society too and agree that knowledge of how things work is not dangerous but how that knowledge is then used is the problem and what is done with the tools made based on the knowledge. And I also feel that because so many technological discoveries are not used wisely or for the benefit of people that those in positions of power cannot be trusted to have at their means any further advances in technology. I mean the more people have learned things by scientific ressearch the more dangerous the world has become. Humans are the most dangerous known species on the planet. Yes, there are animals that use tools like apes that use primitive weapons but the vast difference is that all tool-using animals only pose potential danger to a very few more animals. Human weapons pose a potential destroyer of millions of their own kind and a destruction of the environment and other lifeforms. There is something wrong with humans and always has been as far as recorded history shows us - there have always been men who make war and take the lives of vast numbers of others. The more advanced their weaponry became the greater has been their danger. And its not just weapons and war - the industrialisation of the world has unleashed countless poisons into the environment which are a threat to humans and other life forms. There are no other animals or plants that are such a serious threat to their own or other species. I don't want to argue either, Paraglider, and we do normally agree. Sunflower, I appreciate all you have said so thank you! Always thinking 'we' have the 'right' to experiment, regardless of what it destroys or in some cases creates (pollution, mice with ears on their backs etc etc) by the time 'we' learn it will be too late. Well, B of E, I don't want to argue with you because on most issues we sing from the same sheet. But I like to leap in the dark, as Galileo did, as Newton did, as Faraday did. Neither you nor I know what 'use' will come of it, but I strongly believe that achieving ever better understanding of the world is use enough. I detest the current dumbing down of society. It is ignorance, not knowledge, that makes people controllable, that makes them slaves. The argument that the money would be better spent elsewhere is not very convincing when we are spending billions on weapons of destruction. Stop the palpable evils before stopping cooperative research projects. This accelerator will have 10 to 15 years life over which to defray the expense. A bomb's functional life is about 150 miliseconds. As for 'God particles' the name is simply a joke based on the idea that these particles were in at &quot;the beginning&quot;. Yes, I have read up on it and know it has a long history! I think &quot;mad&quot; is an appropriate descriptive general term to be used to describe something which has no guaranteed safety on it and the outcome of its use is unknown! It cannot be known because it has not been done before. It is therefore a leap in the dark. I would ask what use any knowledge coming from it is anyway? Shouldn't &quot;God particles&quot; be used by God? Why do humans need to know about them? And wouldn't the billions spent on this been better spent on known problems that could be solved or improved using known methods? Very interesting hub, I agree with you Steve. Virtual Network, I personally do not believe that humans are at a level of responsibilty to have at their command the use of many technologies with which a minority play God and decide what they will or will not do and ignore the will of the majority or misinfom them! In my opinion we already have more than enough scientific threats to all life here! In my opinion we do not need bombs, depleted uranium or other advanced weaponry of any type, we do not mind control use and experimentation, we do not need animal experimentation, we do not need genetic modification, we do not need eugenics, we do not need poisonous food additives such as aspartame, we do not need fluoride, we do not need weather modification, we do not need a constant stream of new drugs, and I could go on and on. What we do need is to get back to living in harmony with nature and the planet not seeking to control everything and lord it over the universe we are but a very tiny part of! Very interesting hub, and thoroughly researched. I also think that vast amounts of knowledge were won and lost at some point in the Earth's long history. Let's hope that the Earth doesn't implode,/turn into the gateway to a black hole/develop worm holes or whatever on the 21st October. But just in case I'm not planning to get too far ahead with the Christmas shopping! As Paraglider so rightly states, there is no intention to drop it from a plane on people we don't like. The Hadron Collider has no immediate military function, it is a tool of discovery. Experiments into things we don't understand have gone on for many years and there have always been the protagonists of 'we shouldn't mess with what we don't understand' But if we hadn't, we would not have marvelous machines such as MRI Scanners and other fantastic medical equipment that save countless lives every day. You can call the design makeup cyclotrons but they look very much like 666 and The Masonic use of symbols often uses a slight disguise so it is not at first apparent but nevertheless still displayed. You are right that you cannot stop it and it would be wrong to impose what can and cannot be done but unfortunately this is the very reason we have the greatest dangers to life on this planet - scientists found out how to make them! Along with this we have the results we can see in the world around us - that the use of technologies are often not used wisely or for the benefit of people but for the benefit of an elite minority and in some cases such as depleted uranium it can be argued that so dangerous is that stuff, that the use of it was of no benefit to anyone nor does anyone know how to undo what has been done! I think you can't (and shouldn't) prevent investigation into the unknown. 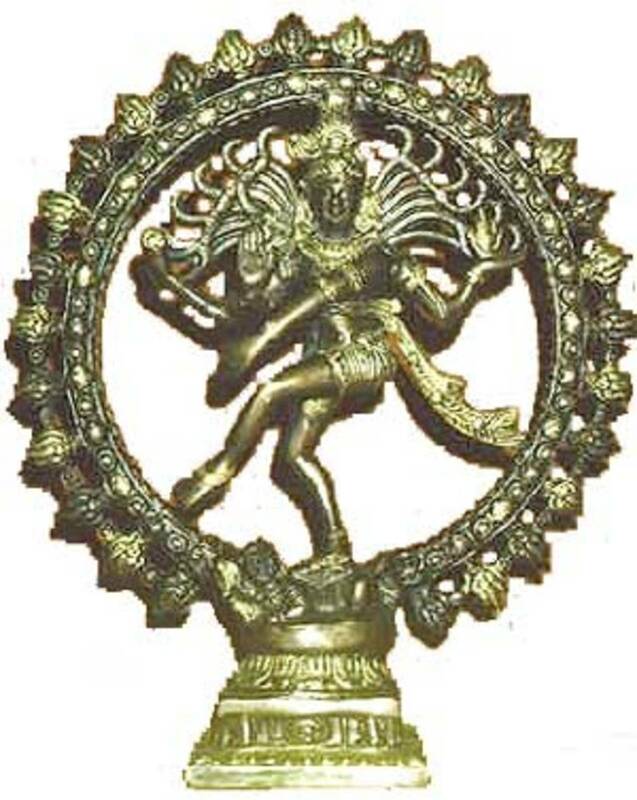 The Cern logo is derived from cyclotrons, not 666, and, as CJ said, Shiva's dance is also the dance of creation. Yes, it has cost a lot of money, but it's an internationally funded peaceful research project. And it's underground. We're not about to drop it from a plane onto people we don't like. I'm watching this one with interest. We have much to learn from it. There is no doubt about it that money spent on this experiment could feed millions of starving people. However, research is a slow process and results of the research are useful in long run. We are not yet sure of the benefits of this research but I am sure if everything goes well this will be a step forward and help serve the humanity in a better way. I have come across your belief, sixtyorso, and share it - I am sure we have no technology that didn't exist in the past and was lost. Whether it was created by aliens or ancient humans or both doesn't matter but that it was lost in the destruction of Atlantis means it could happen again. Professor Arysio Nunes dos Santo who runs the http://www.atlan.org once told me that he fears that we may repeat what happened and that all of this will go! He believes that nuclear weaponry was used long ago. Steve great hub disturbing questions. One theory is that a whole bunch of tiny wormholes may appear and start to swallow up parts of the earth (shades of Atlantis?). I have a personal theory that we had all the technology we possess today but somehow we lost it and started over. I also believe that history repeats itself. Is this a lesson in the learning? Thanks, Shalini, and I agree with you! Yesterday was just a curtain-raiser. October 21 will be the day when the beams are set to collide at energy levels of 5 trillion electron volts ( as against yesterday's 0.45). The collider is built for a full power of 14 trillion electron volts. Are we tempting fate? Will our search for the elusive particle open up a Pandora's box we can't close? Shouldn't risk be handled with more responsibility? Mind you Steve, the dancing Shiva statue is incredibly beautiful, and the write up says that it is meant to symbolise the dance of creation and destruction, the dance of subatomic particles, so maybe the symbolism isn't sinister. Personally I'm looking forward to finding out what they will discover. Good Hub. I agree. I'm all about the progress of science, but why not use all that money for permanent non dangerous sources of clean energy or a cancer cure as opposed to a &quot;look at us, we're God&quot; scientific circle jerk that could end up destroying the planet? If there's even a chance it can destroy the world, we should definitely wait until we have a better idea of what's going on. Good hub. I just wish they would leave these things alone and quit playing God! We don't need this knowledge or these experiments and the money should be spent on things people do need! That is my basic down-to-Earth take on it without getting into the conspiracies! But then when they use 666 and Shiva in their chosen imagery what else can you expect but for conspiracy theorists and truthseekers to jump on it? They always say everything is fine - fluoride is good for the health and aspartame is harmless and approved by FDA and mercury amalgam is harmless etc etc It would be a lot finer without it all! And the genetic modification that you mention is of course said to have been something that was also done in Atlantean times and now its all happening again! When I was a child we didn't have GE crops, fluoride in the water, artificial sweeteners or Hadron Colliders and the world was a whole lot healthier and happier, I'd say! Hi CJ, I saw the documentary on &quot;Oppemheimer&quot;, and it was fascinating. He really seemed to realise what a terrible thing he had created, it was just too late to take it back. Yes, it is rather worrying how these people can tell us this is &quot;safe&quot;, and we have no choice but to trust them, even if they end up being wrong and blow the world apart.